Accurate and proper diagnosis of low back pain is a needed component of care. Far too many centers misdiagnose their patients with low back pain. Even GPs in Malaysia have difficulty with the proper and accurate diagnosis of low back pain. Many doctors, therapists and others that care for low back pain patients in Malaysia haven't really bothered to educate themselves on the latest development in fields of the spine and joint care. This is even more so evident when it comes to low back pain patients. And as such, more and more patients are forced to go through surgical intervention that could have been avoided had their condition been correctly diagnosed and treated in the first place. Well, that will not happen in one of our centers. We have gone through if great lengths to ensure that all our clinical staff are trained by the best of trainers, and have the skills, knowledge, and expertise to treat and diagnose even important and severe cases of low back pain or condition. So, rest assured; the chiropractors and physiotherapists of chiropractic specialty centers have what it takes to get you better faster than any other center or clinic in Malaysia. Don't just take our word for it, visit one of our centers today and compare what we do to any other center in Malaysia or Singapore. 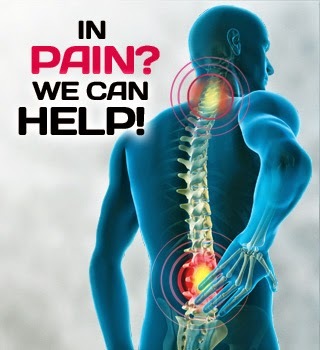 So, if you are looking for the BEST non-operative low back pain treatment in Malaysia, look no further than us. We are the best in the Southeast Asian region. How Common is Low Back Pain in Malaysia? Low back pain is extremely common Malaysians! in fact, it may be affecting up to 85% of the population at least once in a 12 month period. Not so long ago a published research related that 70-80 of the Doctors in Hospital Kuala Lumpur suffered from chronic back pain. Medical research relates that about 90% of low back pain patients show improvements over a 3 months period with treatments, but more than half of them will have at least one recurrent low back pain attack. Low back pain is considered as one of the most common causes of disability in people below the age of 45. 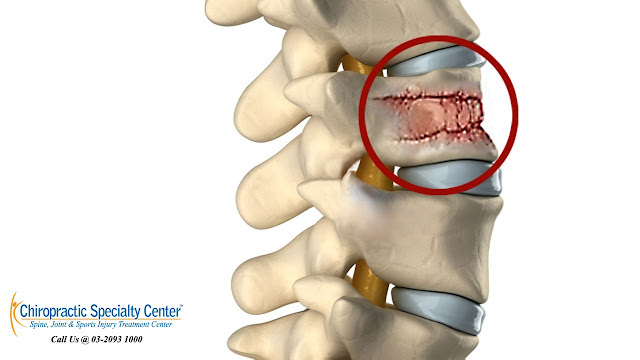 It is very difficult for most health care providers or those inexperienced with back disorders to pinpoint a precise anatomical and pathological diagnosis in lower back pain. However, a health care provider with adequate knowledge and experience can easily identify the root-causes of your back pain. The goals of a competent healthcare provider should be to identify all offending (abnormal) stories in your spine so that proper therapy and treatment plans can be established. In most cases, there can be more than one abnormality that results in the low back pain. But, to diagnose accurately, skills, knowledge and precise attention to detail is needed. In Malaysia; the best and most advanced center for diagnosing and treating back pain is Chiropractic Specialty Center in Kuala Lumpur. Diagnosing is critical as is the treatment of back pain. Some are expert diagnosticians, but the care or treatment they recommend is always or often through surgical or invasive procedures. The one thing that most of these fellows forgot is that there are no additional parts in the human body. Secondly, even if you were to get the best of the best surgeons on this planet, your back pain will not be cured. Plenty of research relates that back surgery is limited in success. In Fact, some even repeated that most patients will need future surgical interventions. Some may require a second or third surgery every 5-7 years. That is shocking! We encourage you to visit the Chiropractors and Physiotherapists in Kuala Lumpur before opting for any invasive spine or joint condition. We have treated thousands of back pain patients that surgeons wanted to operate on in Malaysia. Our success rate is above 95%. Why would you want your care at any other center with stats like these! Why would even consider surgery when an effective alternative to surgery is readily available at the Chiropractic Specialty Center in Malaysia! For more information about diagnosis and treaments of low back pain in Malsyia helpful, please contact us at 03-2093 1000.